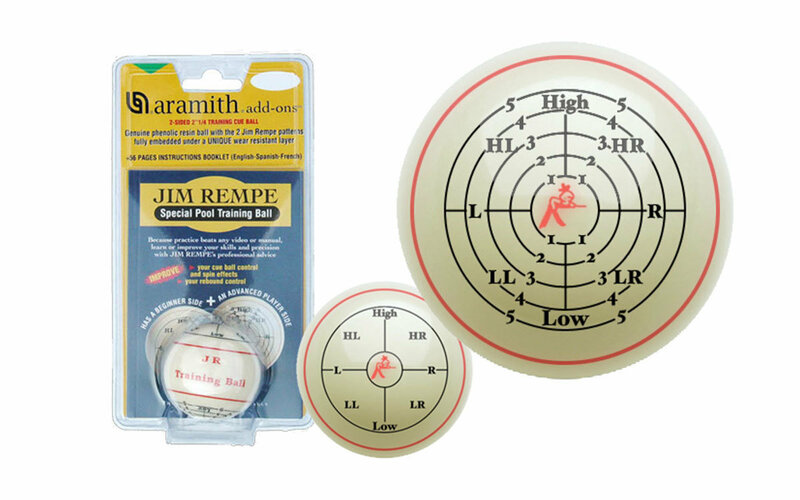 The Jim Rempe training ball set includes a 2-sided 2-1/4" training cue ball and an instructional booklet. The Jim Rempe Ball has a beginner and an advanced player side to assist you in your progress. The two unique ball patterns will help you see where to hit the cue ball for spin (English); develop a better stroke by teaching a more accurate delivery of your cue stick to the cue ball; and optimize the rebound angle on ball and cushion for a better position on the next shot.